The CLASSIC 16cm Utility Knife The CLASSIC 16cm Utility Knife is smaller than a cook’s kni.. 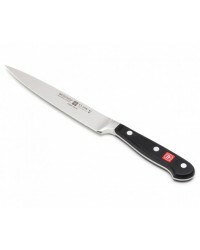 The GOURMET 20cm Cook's Knife No kitchen should be without this manual food processor. It .. The GOURMET 23cm Cook's Knife The GOURMET 23cm Cook’s Knife is the work horse of the .. 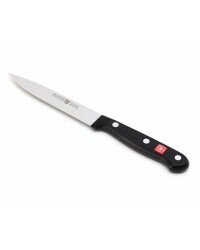 The GOURMET 16cm Fillet Knife Precise filleting of fish, game or meat. 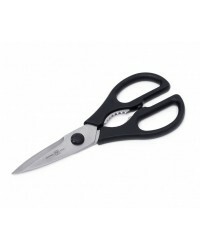 The unique, flexibl.. 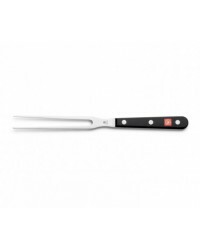 The GOURMET 16cm Kitchen Fork As a carving or serving fork, you´ll have a good hold on alm.. 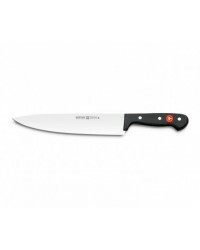 The GOURMET 8cm Paring Knife The GOURMET 8cm Spear Point Paring Knife is the second most i.. 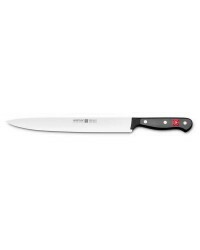 The GOURMET 9cm Paring Knife The GOURMET 9cm Spear Point Paring Knife is the second most i.. 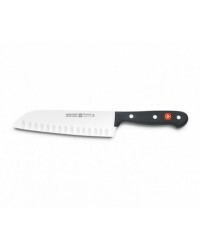 The GOURMET 17cm Santoku Hollow Edge The GOURMET 17cm Hollow Edge Santoku Knife is de.. 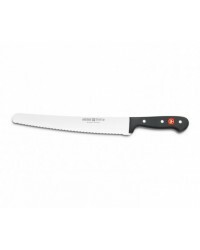 The GOURMET 16cm Utility Knife / Slicer For perfect slicing of beef and cutting fruits and.. 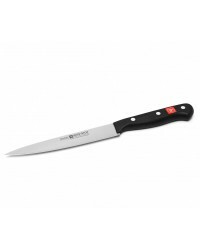 The GOURMET 23cm Slicer / Carving Knife This long, 23cm blade is the ideal size and .. The GOURMET 26cm Super Slicer The GOURMET 26cm Super Slicer is a long slender blade with a.. 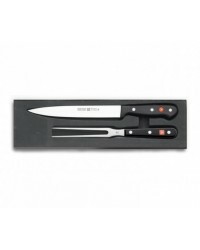 The GOURMET Two Piece Carving Set The Two Piece Carving Set includes a 16cm Straight .. 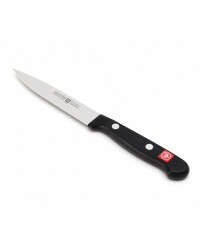 The GOURMET 10cm Utility / Paring Knife The GOURMET 10cm Utility Knife is smalle.. 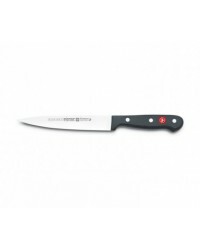 The GOURMET 12cm Utility Knife The GOURMET 12cm Utility Knife is smaller than a ..
Silverpoint Kitchen Shears The handles of the series Silverpoint are made of black special plas..